The nursery schools in our Circle of Friends have been exchanging recipes and telling each other about the foods in their countries. 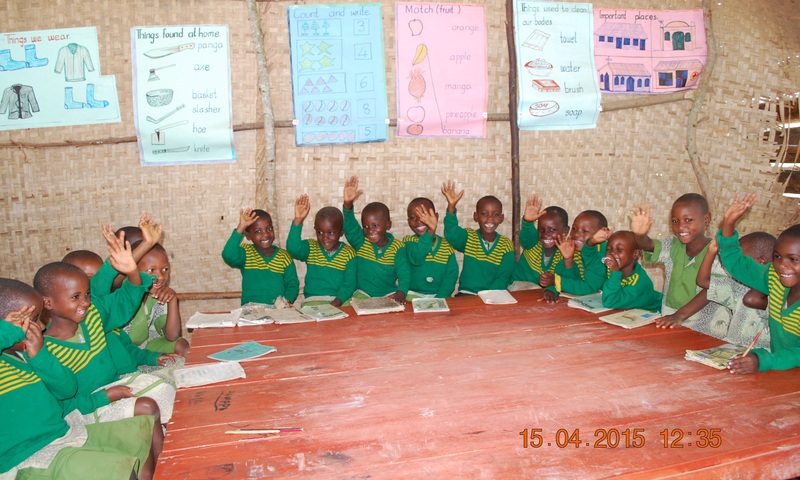 Here is the information that the Life Academy Nursery in Ntungamo shared with Oakleys Explorers in Dundee. Hello Oakley explorers. My name is Treasure. I am in Baby class. It is the entry level into our education system in Uganda. We are 18 children in my class. Recently we did not have enough furniture in our class. Thank you Oakley explorers for buying for us a very big table and four benches. My classmates and I are very happy and can attend class more comfortably. Below are my friends sitting around the table you bought for us. 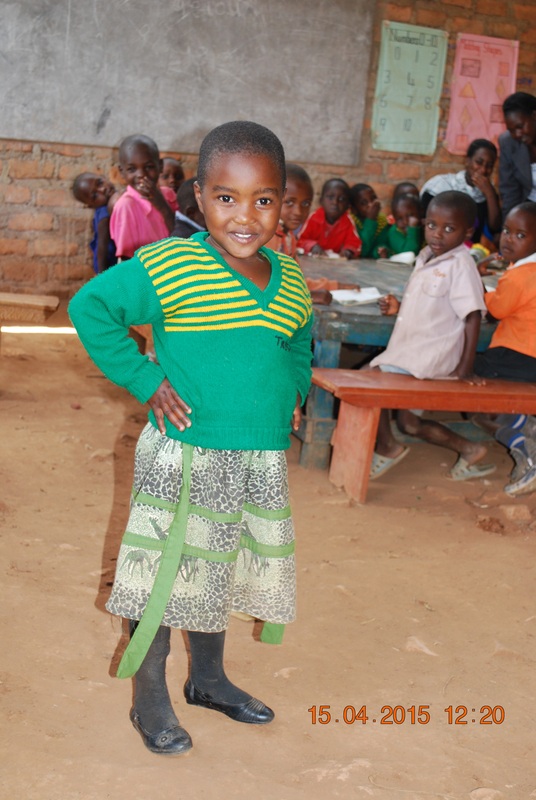 My school Life Community Nursery School is located in South Western Uganda. My village is called Rugarama in Ntungamo district. Below I’m going to share with you about the type of food we eat, how we get it, prepare it and serve it. Our staple food is majorly Green Banana (Matoke) and Sweet potatoes. Matoke is a type of plantain that grows on a tall tree while sweet potatoes are a root crop that grows under ground. Families till the soil with a tool called a hand hoe, plant their own crops, harvest them carry the produce home on their heads. Every family must have their own crop field where they grow their own food. Before steaming, the raw food is peeled first using a knife. 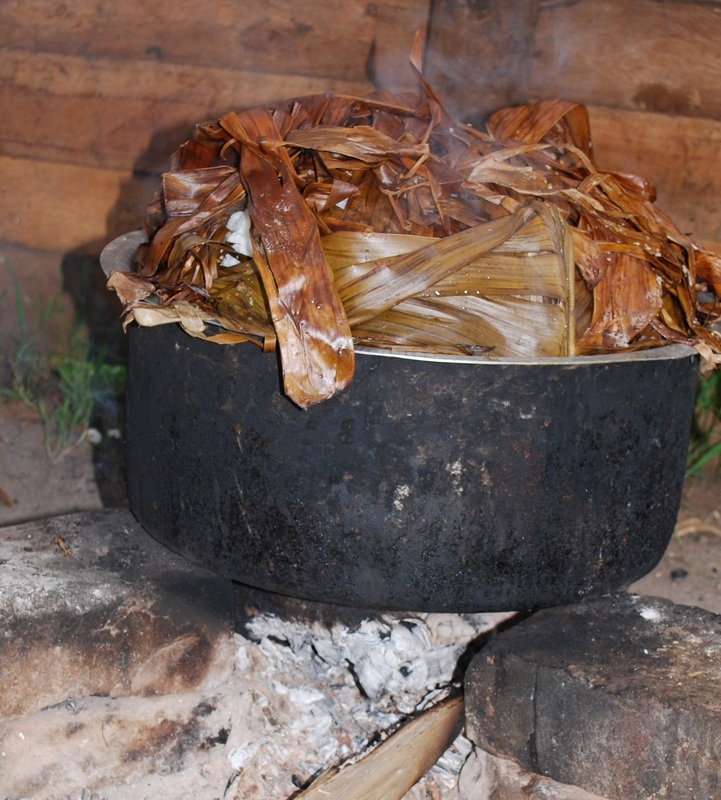 The peeled food is then placed in a pan and placed on an open fire to cook for about 40 minutes to an hour. 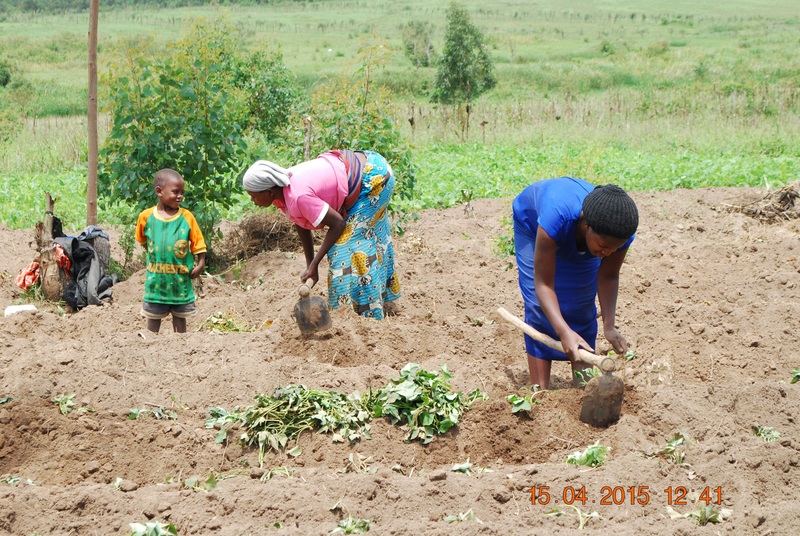 The exercise from planting, to weeding, to harvesting to cooking and finally eating the food can be very tiresome. However, it becomes normal daily routine that one gets so accustomed to that it all flows so smoothly and get done quickly. Planting sweet potato vines above. 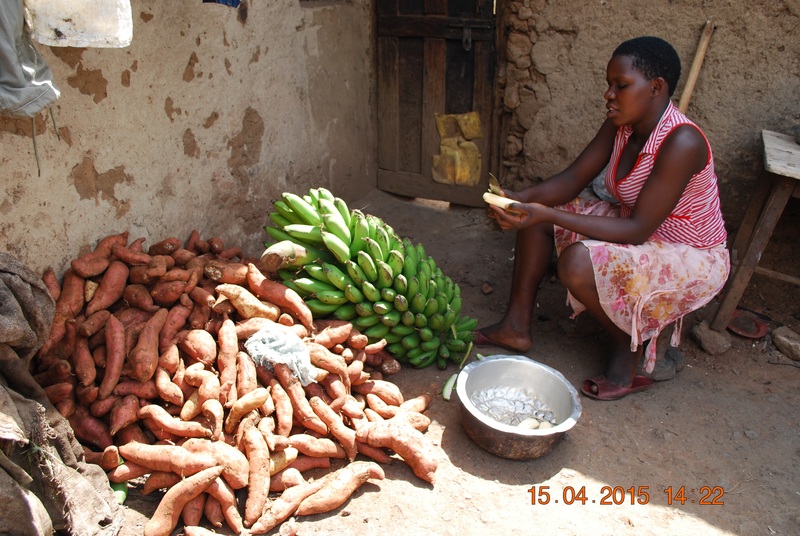 Peeling harvested Matoke and sweet potatoes. Our food is prepared on an open fire using firewood for fuel. Below is food cooking on fire. Food is covered in banana leaves to steam. Cooking sweet potato wrapped in banana leaf. My mother packs lunch food for me every day. I carry it to school every morning in a container. Greetings to you all from me, my friends, and my teacher. THANK YOU ALL. IT HAS BEEN GOOD SHARING ABOUT OUR FOOD.